In May 2015, the World Health Assembly endorsed the Global Action Plan on Antimicrobial Resistance, which calls on all countries to adopt national strategies within two years to curb antibiotic use in humans as well as in animals. The USA, the European Union and other countries have formulated policies and enforced guidelines to tackle antibiotic use in animals, which accounted for more than 63 thousand tonnes worldwide in 2010, much higher than human consumption and is expected to increase by two-thirds by 2030. However, in India there are no guidelines for antibiotic use in animals especially for domestic use. The guidelines are mainly for animal products being exported. Moreover, it is also highly understudied area of research with few empirical papers on the subject. A 2010 study by the Centre for Science and Environment, Delhi showed the presence of antibiotic residue in honey being sold in India, reiterating the critical threat that unregulated use of antibiotics poses in the country. While antibiotic use in humans and its challenges have started receiving attention in academicians and policymakers in India, it is important that attention is drawn to antibiotic in the field of agriculture, which is a major contributor of environmental antibiotic resistance. According to data by the for Disease Dynamics, Economics & Policy (CDDEP), Washington DC, found that India has among the highest rates of antibiotic resistance for 12 common bacteria including Escherichia coli (E. coli), Salmonella, Klebsiella and methicillin-resistant Staphylococcus aureus (MRSA) in the 30 countries studies. While, almost all low and middle income countries in the study such as Brazil, Kenya, South Africa and Vietnam have rising rates of antibiotic resistance, the rates in India were particularly alarming. For example in 2014 in India 57% of the infections caused by Klebsiella pneumoniae, were found to be resistant to the last-resort antibiotic class of drugs carbapenems, up from 29% in 2008. This is particularly crucial as “Carbapenem antibiotics are for use in the most dire circumstances—when someone’s life is in danger and no other drug will cure the infection,” according Sumanth Gandra, a CDDEP resident scholar in New Delhi. Dr. Ramanan Laxminarayan, CDDEP Director and report co-author attributed the rising resistance across the world to the "rampant rise in antibiotic use poses a major threat to public health, especially when there’s no oversight on appropriate prescribing". The data from India represented by data from SRL, a large private laboratory network from 2008 to 2014 which includes 5,700 collection centres across the country. The data is another reminder for the country to quickly implement its new guidelines on antibiotic use which are already ready since earlier this month. Greater emphasis on hygiene for coughs, colds and other infectious diseases is needed amid growing antibiotic resistance across the world, stated the National Institute Health and Care Excellence (NICE), UK last week. NICE is a statutory body in the UK that lays down standards and guidelines to be followed by all healthcare providers and facilities in the country. The draft guidelines aimed at changing behaviour among the public on antibiotic use, advocates national and local campaigning on handwashing and other self-care techniques for preventing infectious diseases rather than taking antibiotics. It recommends teaching children and students on proper handwashing techniques as well as convincing people that self limiting conditions do not require antibiotics. The draft which is out for public consultation will be finalized and implemented as guidelines throughout the UK. This comes in the heels of the guidelines for antibiotic stewardship for physicians that were finalized last month by the NICE. Given the critical public health challenge that antibiotic resistance in India poses, we have yet to see policy level recognition of building public awareness on the issue. The Indian guidelines so far have targeted physicians and pharmacists who are crucial stakeholders in tackling the problem. However, unless the public is part of the process, it would be impossible to holistically address the problem of antibiotic resistance in the country. Noted epidemiologist Ramanan Laxminarayan from the Public Health Foundation of India and the Centre for Disease Dynamics, Economics, and Policy in the USA in a recent interview discussed the challenges with antibiotic resistance in India. He stressed the need for updating the existing laws of sale of over-the-counter drugs in India and more importantly enforcing them. He also explained how the lack of national-level data on resistance apart from limited localized studies is a big gap in the estimating the extent of the problem of antibiotic resistance. Brihan-Mumbai Municipal Corporation (BMC) has taken a big step towards standardisation of indications for prescribing antibiotics for use by various specialties(1). This is said to be the first time any Civic Agency has taken such a step. The Corporation, one of the richest in the country, has taken this big step in the right direction. On the same note, it remains to be seen how much of the policy is followed by the doctors. Rational use of antibiotic was a necessity in the period of world war due to acute shortage. In the present day, there is no dearth of antibiotic availability but they are not effective enough to combat tough infections. In 2013, BMC started this ambitious project to curb the abuse of antibiotics(2). Over a period of 2 years, various expert committees convened to draft an antibiotic policy for use by each of their specific specialties. And this has culminated in the release of the policy in it's current form. A couple of years ago, a medical intern lost her life to Multi-Drug Resistant Tuberculosis in Mumbai which was shocking but raised the concerns among the trainees and students in medical colleges all over Maharashtra. 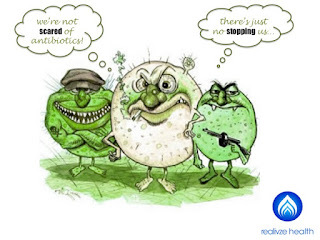 The issue of antibiotic resistance is pandemic as World Health Organisation (WHO) claims and all countries irrespective of their development status are afflicted by antibiotic resistance challenges. In the present scenario, development of such a policy is the need of the hour. But what these policies fail to address is that if the policy recommends antibiotics for a particular diagnosis, the challenge is that most cases do not fit that particular diagnostic criteria. Moreover doctors still err on the side of defensive prescription of antibiotics rather than following a system of watchful waiting. The only way to inculcate these principles is when the training curriculum of medical fraternity stresses on these aspects at every level of the training from their undergraduate levels to the post graduate levels and beyond. Also the associations of medical fraternity must all stress the same to their respective specialties and members. 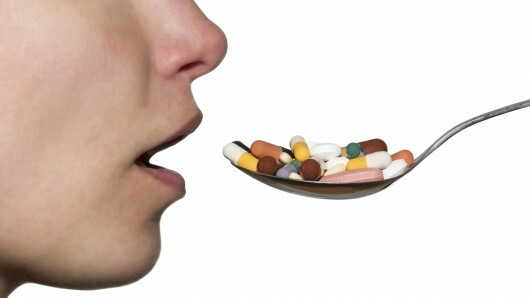 Let's hope rational use of antibiotics becomes the norm before the antibiotics themselves become irrational (useless). Pharmaceutical companies have shifted their manufacturing units from the West to developing countries in Eastern countries in Asia for advantages. This has helped the economy of these countries as well. But a new issues has cropped up in these countries. A group of researchers have been following the effects of the pharmaceutical company's effluents. They found that most of the effluents were discharged into sewage water without treatment. These effluents were laden with antibiotics with ciprofloxacin topping the charts. This creates a vicious and dangerous cycle of antibiotic resistance spread in the environment as well. The entire food web concentrates these antibiotics spreading it to the humans at the top of the food chain. As most sewage ends up in the seas, it can contaminate the sea foods as well. The effects are more devastating than we realise / know. To complicate matters, chlorine, a commonly used chemical for treating sewage has been found to promote antibiotic resistance. Chlorine when used on antibiotic laden sewage, is unable to remove the antibiotics but may also combine with them to form new antibiotic compounds which can then creep into the environment complicating the issue of antibiotic resistance. This can potentially create antibiotic resistance to even not-yet-discovered antibiotics. We are very well running fast into the pre-antibiotic era, it appears. This brings antibiotic resistance to the very doors of the people. Antibiotics were found in very high quantities in the effluents discharged. This can cause resistance in the organisms in these waters. Many of the bacterial infections are water-food borne or spread by feco-oral transmission which again may be spread via contaminated water bodies. Natural calamities, floods as well as pipe bursts / faults cause frequent contamination of sewage water with potable water lines in many Asian countries. These pathogens in sewage water would already by resistant to most antibiotics, which in turn can cause antibiotic resistant infections which would be difficult to treat especially in times of disasters like flood and natural calamities, when resources are very low. Mortality would be very high then. Government and environmental bodies must look into this issue and with involvement of the public as well as the pharmaceutical companies, must be stringent about letting out effluents laden with antibiotics into sewage water untreated.